Throughout the year, the People’s Response Team (PRT) has been monitoring and tracking news articles on fatal police shootings in Chicago. PRT works towards centering and uplifting the narratives of families affected by police violence amidst a common, biased alignment of mainstream media and law enforcement narratives. Between January and October of 2016, there were six fatal police shootings in Chicago. In the past three weeks, five more young Black people have been shot and killed by Chicago Police officers - two of them within 24 hours of each other. These horrific acts of murder at the hands of the Chicago Police Department (CPD) means that fatal police shootings in our city have increased over 1000% in the past month. PRT sees this spike in state-sanctioned violence against Black communities as directly related to the validation of white supremacy through the campaign and election of Donald Trump. We also know that recent history (Laquan McDonald, Rekia Boyd, etc.) has taught us that CPD’s narrative of events cannot be trusted. The white supremacy that has emboldened Trump supporters to carry out acts of violence across the country is evidenced not only by the rise in vigilante attacks, including the recent murders of James Means in West Virginia and the lynching of Will Sims in El Sobrante, California, but, also, in this form of police violence. The ongoing militarization of police and the political alignment of institutions such as the Fraternal Order of Police (FOP)—the largest police union in the country—with Donald Trump, cannot be ignored. Although the FOP did not endorse a presidential candidate in the last cycle, the union issued its full support and endorsement of Trump. 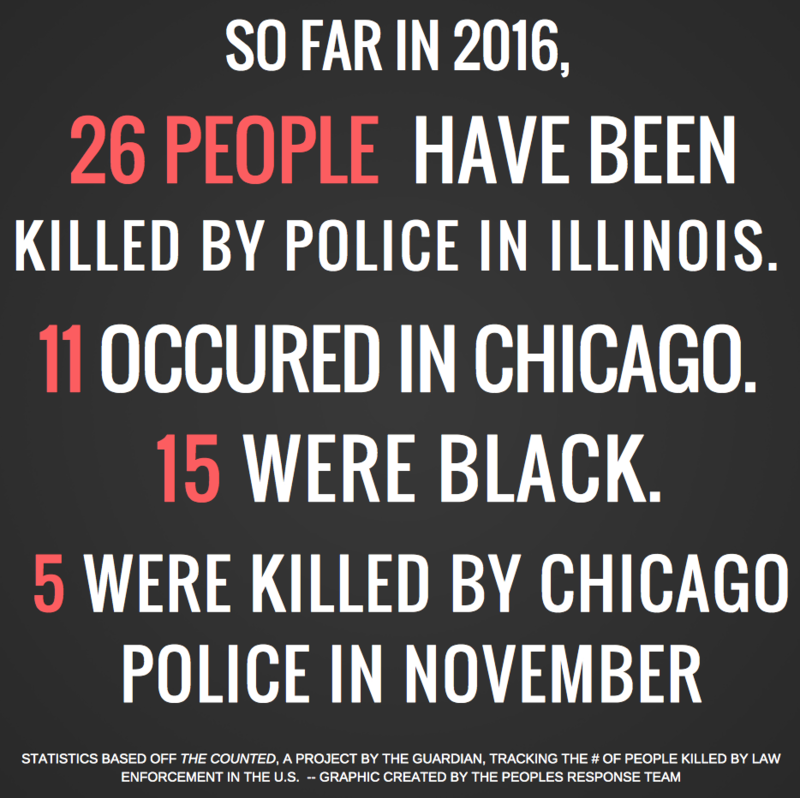 PRT recognizes an alarming connection between Trump’s election and the increase in police shootings in Chicago. Trump ran as the ‘law-and-order’ candidate, spouting white nationalist rhetoric and inciting white fear of Black and Brown people. We do not think it is a coincidence that the local FOP Lodge 7, which represents CPD officers, voted overwhelmingly to endorse Trump as our 45th President. On November 5th, 2016, an off-duty CPD officer in plain clothes, shot and killed Joshua Beal, a young Black man in the Mount Greenwood neighborhood. In the wake of Beal’s death, members of the Mount Greenwood community drove by the murder site and yelled “Trump!” and “Go Home [N-word]!” Directly following the shooting, other Mount Greenwood residents protested and harassed the Beal family. Many of these residents carried ‘Blue Lives Matter’ banners, and one person threatened the family with a baseball bat. 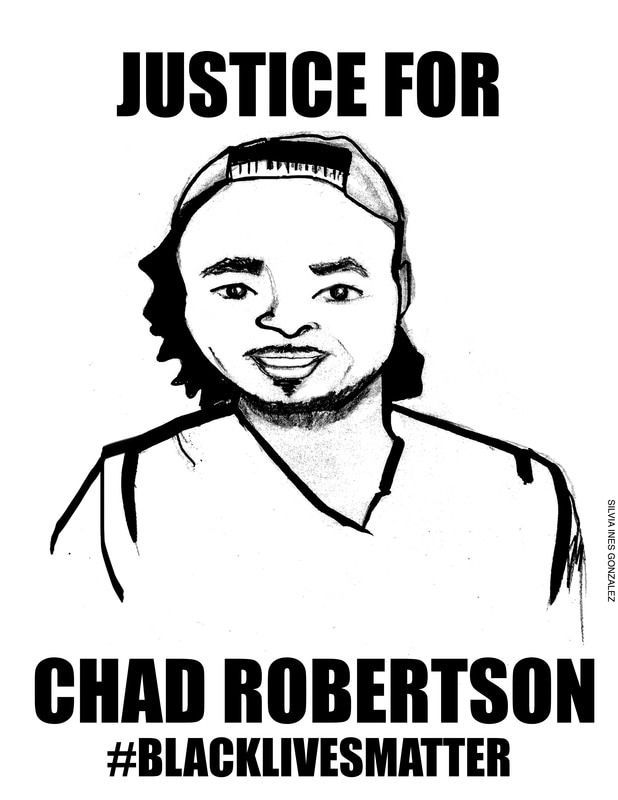 Just last night on November 27th, 2016, another young Black person was shot and killed by CPD. This time, because of the circumstances, we observed CPD live-tweeting from the scene, a shift from their usual protocol. PRT already foresees this shift in “transparency” as a ploy to justify their recent murders in an attempt to pacify the public. CPD, the Mayor’s Office, and the FOP actively pick and choose which incidents they are transparent about and manipulate how those incidents are spun in the media. We see that they are capable of live-tweeting and giving explicit details of the shooting as in the case last night, but have yet to be straightforward about the shooting of 19-year-old Kajuan Raye a night before Thanksgiving, when a sergeant shot Kajuan in the back. CPD also later admitted that Kajuan was unarmed when they murdered him, countering their initial reports. Not only do we demand transparency in every police shooting that occurs in our city, but we also denounce COPA and continue to demand time and money be invested in the Civilian Accountability Police Council (CPAC). The institution of policing has always been rooted in anti-Blackness, and it has historically served to surveil, control, and target communities of color, especially Black communities. The increased material support of this racist institution will have further serious impacts on Black, undocumented, Muslim, Indigenous, and LGBTQ communities across the country. There will be an increase in the number of emboldened and armed ‘Blue Lives Matter’ supporters. Media outlets will continue to reiterate racist and anti-Black news reports of police shootings that blame the victim and their community. The number of appointed judges who actively ignore or support racial biases in policing will rise. We also know that much of this violence is not new. The increased violence that will be felt in Muslim, Latinx, and LGBTQ communities come January 21st are forces that already heavily impact Black communities. In response to this upsurge in police and vigilante violence in Chicago, PRT is organizing a series of workshops to assist folks in preparing to better protect and defend our communities. All workshops will be in the evening with locations TBA. For more details and registration for each workshop, please continue to check back at our website at the peoplesresponseteamchicago.org. We also encourage everyone to support the family of Kajuan Raye in raising money for funeral costs. 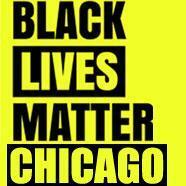 BLM-Chicago is accepting donations on behalf of the family. Please donate to paypal.me/BLMChi and help the family mourn without added financial burden. Rest in Power, Charles M. Smith. Rest in Power, Lamar Harris. Rest in Power, Pierre Loury. Rest in Power, Derek Love. Rest in Power, Paul O’Neal. Rest in Power Joshua Beal. Rest in Power, Darius Jones. Rest in Power Kajuan Raye. Rest in Power, to the Unknown. 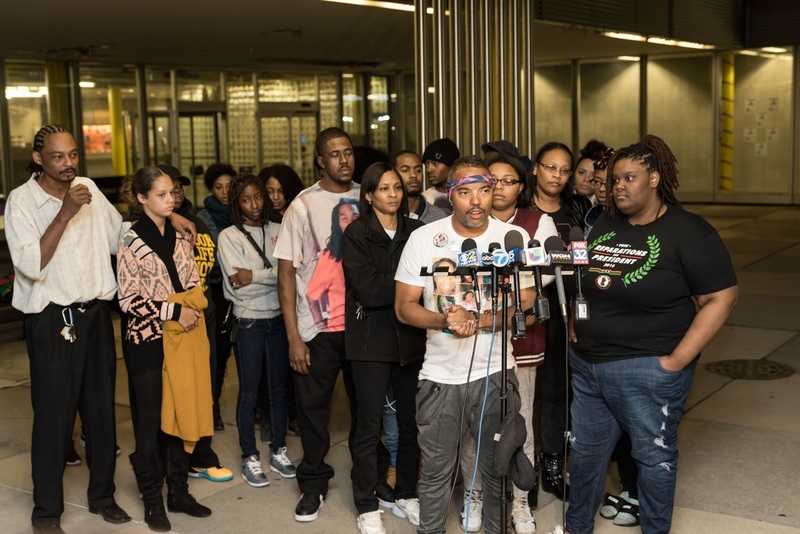 Black Lives Matter Chicago and the People’s Response Team support the family of Joshua Beal and join them in calling for the immediate release of his brother, Michael Beal, who has been held in custody for over 48 hours. We also join the family in demanding immediate charges of murder be brought forth against the police officers involved in Joshua Beal’s murder. At 3pm on Saturday, November 5th, 2016, an off-duty Chicago police officer shot 25-year-old Joshua Beal, of Indianapolis, on the 11100 Block of S. Troy in the Mt. Greenwood neighborhood. 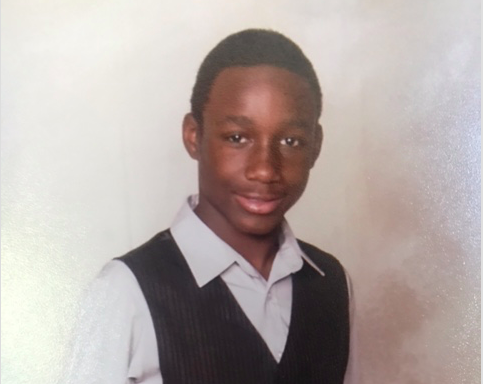 Joshua was then taken to Advocate Christ Hospital where he was officially pronounced dead. Initial social media posts by the Communications Director of the Chicago Police Department (CPD) stated that “shots were fired and police returned fire.” Around 6pm, mainstream media began heavily reporting the narrative put forth by CPD, describing the shooting as a “road rage incident.” These CPD-driven narratives further claim Beal was shot because he did not want to drop his gun, or was firing upon officers. The emphasis of Beal firing upon officers was present in nearly every initial live newscast. However, around 7pm, CPD Superintendent Eddie Johnson stated that the incident, “involving a Fire Department member and multiple subjects” in which a car was “illegally blocking a fire lane,” led to a verbal and then physical altercation. Eddie Johnson’s statement stated that Beal “displayed” a weapon, but it did not include any mention of officers being fired upon. Police told the Tribune that they are unsure if Beal ever fired his weapon, further contradicting their initial reports. Witnesses state the fatal altercation happened over a block away from the fire lane, and had nothing to do with blocking it, countering CPD’s claims that blocking the fire lane was the cause of the original interaction. Witnesses also stated they did not see Beal shoot or “display,” a gun in his hands. A witness states that a plainclothes, off-duty police officer cut off the funeral procession with his car. Joshua’s 17-year-old sister then got out of the car and exchanged words with the off-duty officer regarding his dangerous driving. The off-duty officer then threw Joshua’s 17-year-old sister to the ground and aimed a gun at her head. two more officers, only one in uniform approached the group. At that point, Beal told the officers he had a concealed carry license and had a weapon on him. One of the off-duty officers then shot at Beal through the window of the car before running to Beal’s side of the car and continuing to fire, on Joshua Beal. Beal’s mother later said that she was told Joshua was shot twice in the back, and three times in the chest. She was not allowed to see him at the hospital. The police blocked off the scene for more than seven hours, Family members were stranded without access to their cars which were in the perimeter of the crime scene, unable to even retrieve house keys. Mount Greenwood, a majority white Chicago neighborhood on the southwest side, has a long legacy of racism. The community’s explicit hatred for Black people is long documented, from 1968, where community members protested the presence of Black children in the school, and a playground of seventh & eighth graders cheered when Dr. Martin Luther King Jr. was assassinated, to 2010, when a Chicagoan witnessed a group of white teenagers chase Black and Latinx folks out of a park - near the site of Joshua Beal’s murder - after sunset. Live-footage Facebook feeds from community members on the scene of the shooting Saturday night showed Mt. Greenwood residents with “Blue Lives Matter” flags across the street from where Joshua’s family was gathered and grieving. CPD did little to protect family when a white man approached the family wielding a bat and shouting expletives. Knives and other weapons were confiscated by police as a large crowd of white people shouted, “CPD”, “Blue Lives Matter”, and “N**gers, go home” while the grieving Beal family was trapped in Mount Greenwood awaiting release of their vehicles. The following day, a group of white residents of Mt. Greenwood, gathered carrying signs that read, “Go home animals!” and yelled in jubilation at the site of Joshua Beal’s murder.It is within this environment that a funeral procession was stopped and a pallbearer in town to lay his cousin to rest, ended up murdered in broad daylight. We support Joshua Beal’s family during this tragic time. We are determined to center their needs during this tragically inhumane experience. We support the family’s demand for CPD to immediately release Michael Beal, Joshua’s brother - who is still in custody at 5th District Police Station - with all charges dropped. We also support the family’s demand to file murder charges against all Chicago police officers involved in the killing of Joshua Beal. We demand the State’s Attorney, immediately file murder charges against all of the officers who killed Joshua Beal, now! Release Michael Beal with no charges, now!